In the second half of our cold engine check, Danny and Clive disengage the spark plug leads to take a closer look at the quality and cleanliness of the spark plugs. They also inspect the brake and clutch fluid reservoirs, oil and coolant. Before cracking on to the warm engine inspection, be sure to walk through each of the components Danny and Clive cover, looking for damage and other abnormalities. 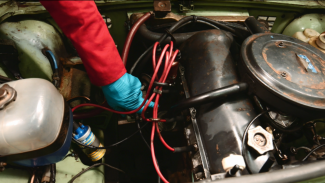 In the final class of our course on classic car electrics, Ed teaches you about the ignition system on your car. He discusses the two halves of the ignition system, explains how the system is wired to the rest of a car, and then shows you how to trace faults. In the previous class, Ed showed you how to clean the valves and prepare them for reinsertion into the head. Now, you’ll learn how to lap in the valves using grinding paste and then decoke the engine in order to increase its efficiency and ensure top-notch engine performance for another several thousand miles. Ed introduces the tools you need to complete this process and then shows you how to use them. In the next step of basic engine maintenance, Ed explains how you can learn a great deal about a car engine’s wear and general health by inspecting a few key components and completing a test or two. 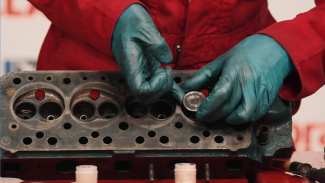 In the final step of the engine decoking process, you’ll learn to reassemble the head, replace a new gasket, and remount the cleaned and decoked components onto the engine block. 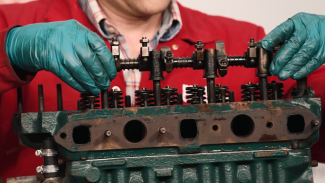 Ed walks you step by step through the finishing methods needed to put the cylinder head back together and make sure everything is properly affixed and operational. STAY IN TUNE. GET CONNECTED.